Our grocery bill has been nuts lately. I meal plan and we only eat out once a week. We eat in for all other meals and since becoming pregnant I no longer crave lattes and I don't have time to go out of town to Hobby Lobby, Target, etc. You'd think our groceries and overall monthly budget wouldn't be so high, but somehow food gets the best of us over here. So, we're attempting a crazy weekly budget for groceries this week. 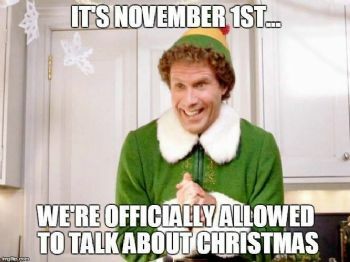 Eek! I'm hoping to spend a third of what I normally spend, it's going to be tricky, but seeing as how people all over the internet seem to have success, I at least need to try. I'm determined to make it work. Wish us luck! I plan to make "ornaments" for Christmas. 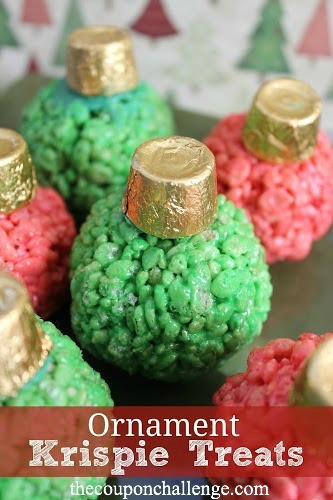 I saw some on Pinterest using red and green food coloring and Rolo candy for the tops. Ummm.. adorable! I've been thinking a lot about how cool I once was when running through my previous two pregnancies. Here I was running with Henry about 4 weeks before he was born. Now all I do is eat cheese. LOL! 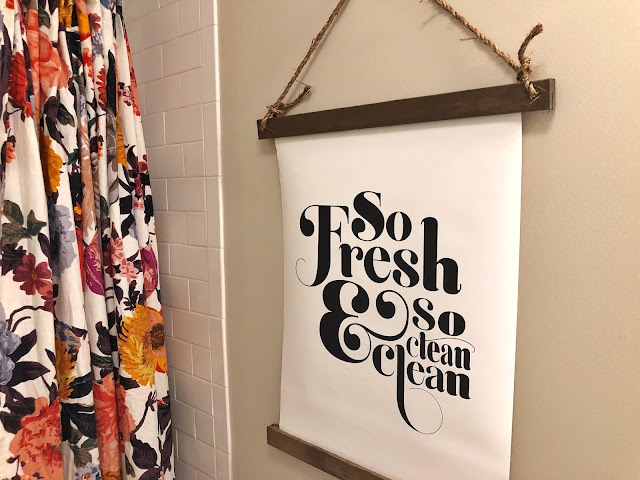 Updating the kids' bathroom! It's almost done! Thank goodness for candle, twinkle lights and Christmas lights. They make the darkness seem not so bad. Are any of you listening to Rachel Hollis in the mornings? 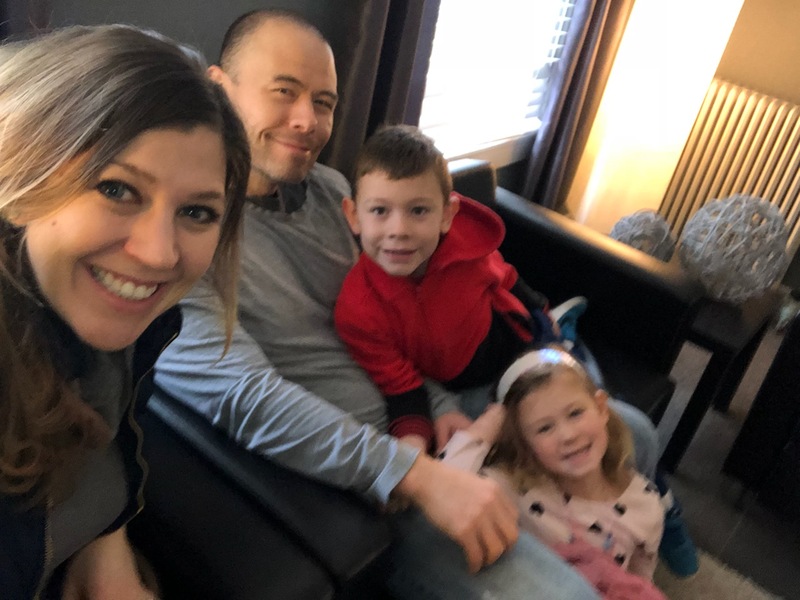 She and her husband are live stream every morning at 9 a.m. on Facebook and Instagram and man, they're really motivating me to make some things happen in my life! There's so much that I'm working on... time management, following through on some goals...some dreams, attempting to give things a go and the hardest one for me - getting over the fear of what others think of me. As Rachel would say, "Someone else's opinion of you is none of your business." Hop on and give Rachel and her husband, Dave, a listen - they're incredibly inspirational! Watching our Michigan Wolverines this weekend! Last weekend was a bye week and, while we managed to get some things done around the house, both Jon and I missed watching our favorite college football team! Not much. I've been too busy or too tired to watch too much on the tube and/or get into a book. The only thing I make sure not to miss every week is my beloved, Housewives of Orange County. 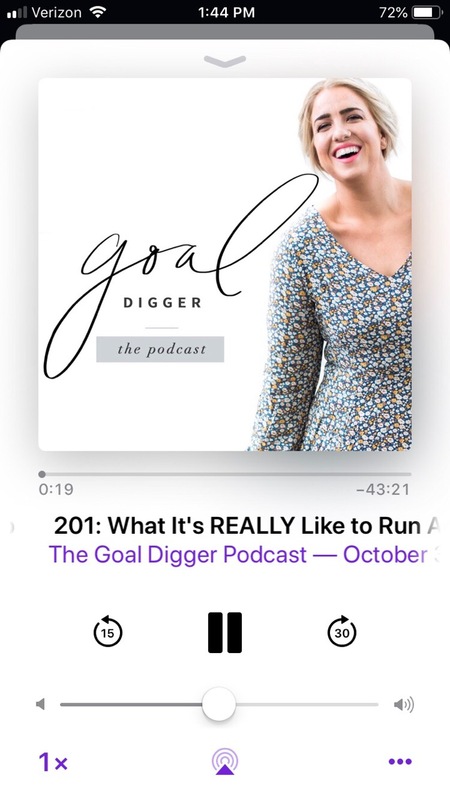 Like I said, I've been listening to Rachel Hollis every morning, but I've been really loving all of Jenna Kutcher's podcast, Goal Digger. So good you guys, soooo good! I've purchased two pair of black maternity leggings and a pair of maternity jeans from Kohl's - and they're awesome! 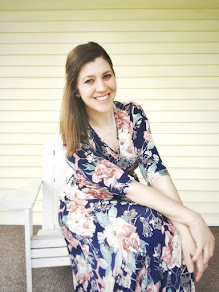 Since this is my last pregnancy, I'd love to add a few more cute maternity shirts to my wardrobe! I also purchased a new winter coat, because - Michigan winter. I'm loving how oversized this coat is and how I can wear it for years to come. It has GREAT reviews on Amazon and I can see why. Cleaning, purging, going through our crawl space, cleaning our closets, eating out (Yay!) and watching the Michigan football game!!! WooHoo!!! Thanksgiving! Elastic pants! Decorating for Christmas! Today has been insanely busy and I'm surprised I even managed to have time to blog. We've been enjoying all the Halloween festivities and I'm looking forward to the month of November. Our weekend was action packed over here! We kept the kids home from school on Friday, everyone slept in a little and then we all headed to my 20 week ultrasound! A selfie to document our excitement was necessary! You guys! 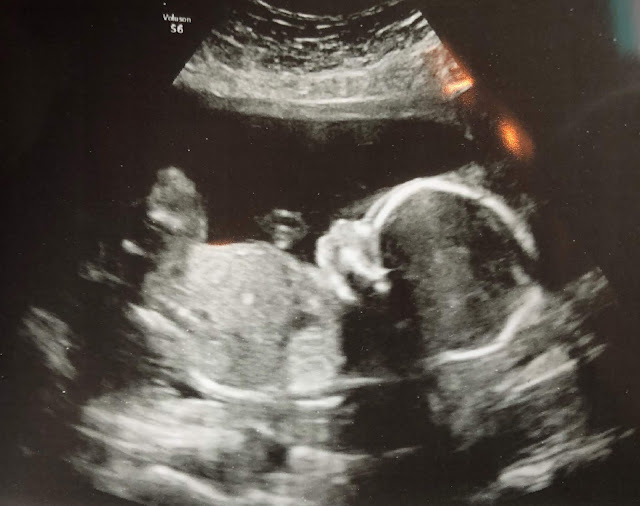 This was my first experience with a 3D ultrasound and boy was it different. 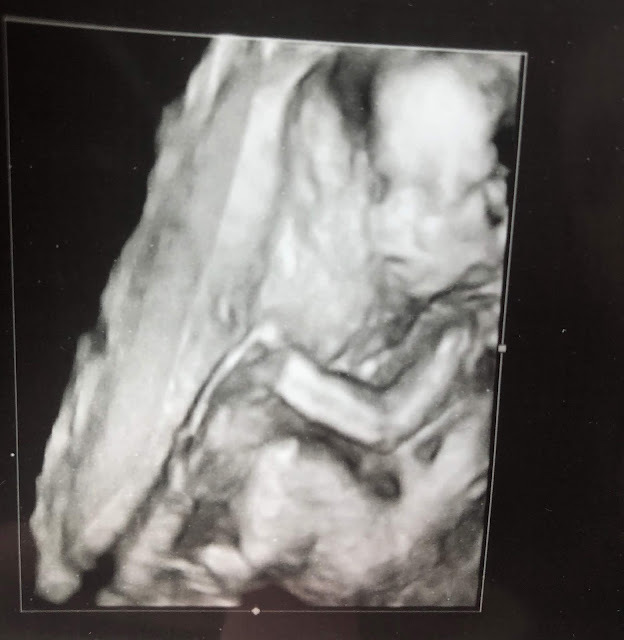 The Sonographer mentioned that we'll get better pictures next time (since I'm 35 I need to have an ultrasound every four weeks now), but I was amazed at what we saw! Speaking of my placenta - I guess it's really low. Has anyone ever dealt with this issue? I guess it's somewhat normal for it to be low at this point and it should grow upward, but my doctor is going to keep an eye on it through those upcoming ultrasounds. What do you guys think? 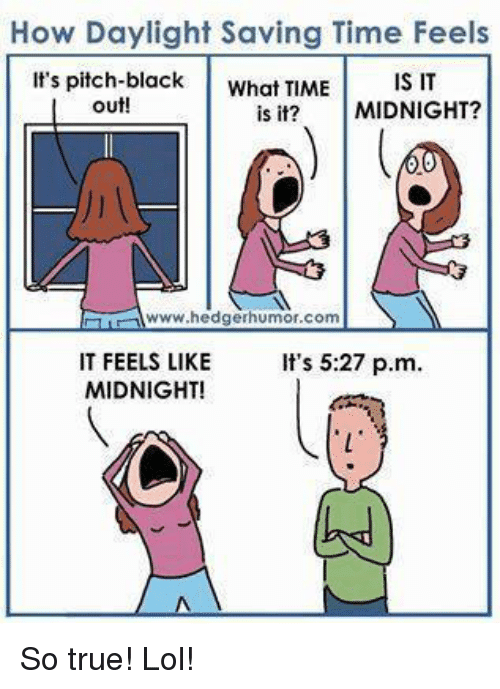 And, nope, we're not finding out - which has been really tough this time around! After my appointment ended we took the kids to one of our favorite restaurants. This place has been around for over 100 years - and it's good, you guys - really, really good! We chose to sit in the "bar" area, good thing - because we brought some silliness with us! LOL! Next up - flu shots. I had mine while at my appointment. With this baby arriving in March (primetime flu season) I want to make sure we're all vaccinated! Henry was super brave and volunteered to go first. He didn't even flinch. Rumor has it our neighbor boy did a great job getting his shot and told Henry all about it - I was amazed and how calm Henry was about the entire time - I never would have imagined how relaxed about it he'd be! Sometimes kids talking with other kids is the best medicine! Next up - pumpkins! This day just kept going! My lovable, squeezable babies! 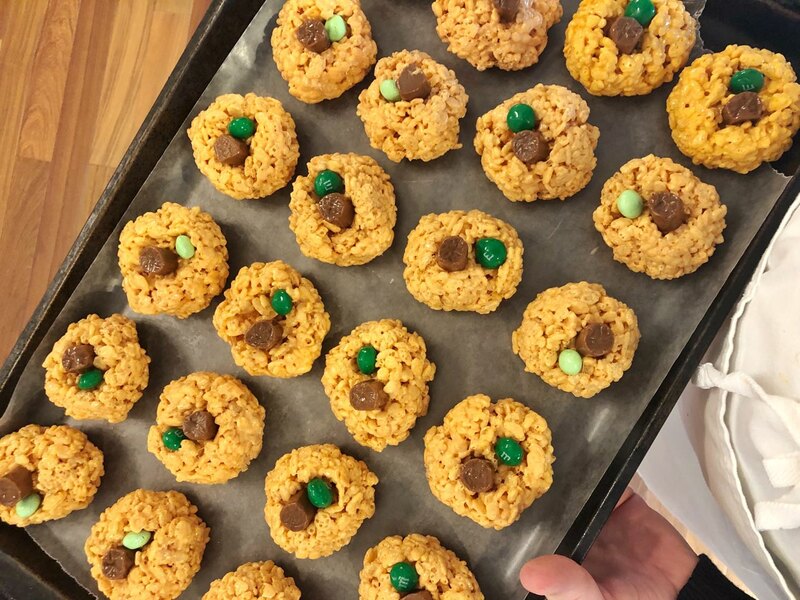 I could just eat them up! Friday evening consisted of popcorn and Charlie Brown! So fun! We slept in, had a contractor come out to take a look at our master bath and then we just chilled. Jon made homemade chicken noodle soup for dinner - which was fine by me since it meant I didn't have to cook. I cleaned all the things, the kids played for hours together and Jon worked on some house projects. We also managed to carve some pumpkins! 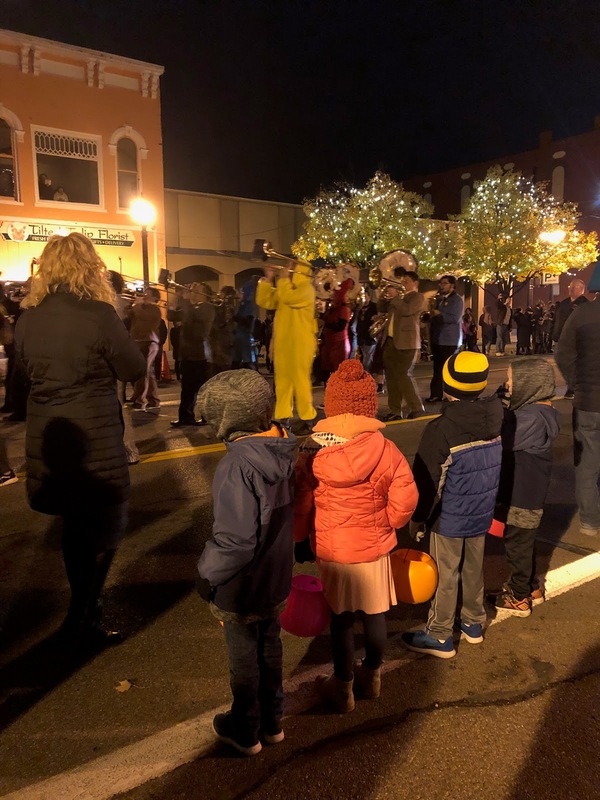 Later on Saturday evening we attended our local Halloween parade. Eliza was NOT a fan of this witch that popped out of a jack-in-the-box. The witch was fantastic and she had an amazing cackle! Eliza wasn't a fan of this terrifying werewolf either! Not going to lie, this thing scared me half to death while in Home Depot a few weeks ago! Sunday consisted of a couple of runs to the grocery store and lots of cleaning. I made this white sauce enchilada dish. It's one of my favorites! Luckily we have leftovers for tonight! WooHoo! 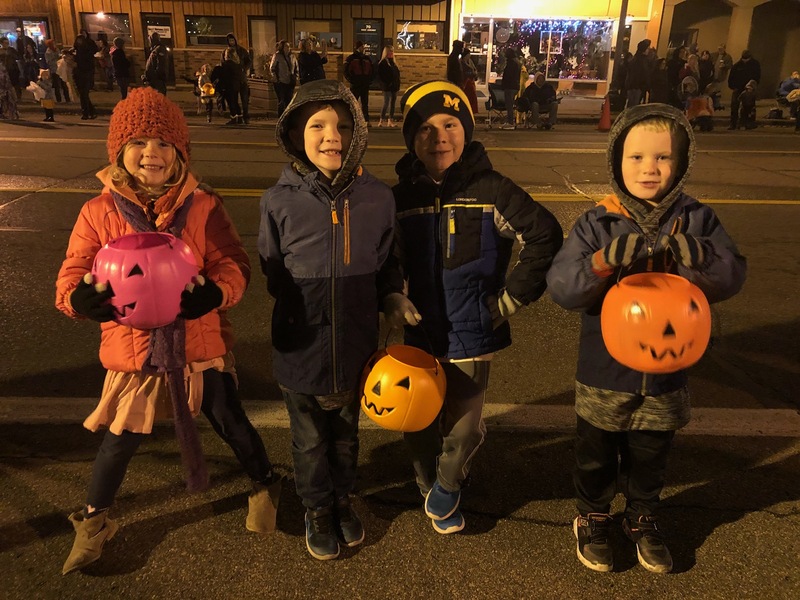 We finally put lights in our pumpkins last night. They were looking cute! This morning consisted of snuggles on the couch and getting back into our weekly routine. We were running a little behind this morning, but how could I turn down Monday morning snuggles...totally worth it. 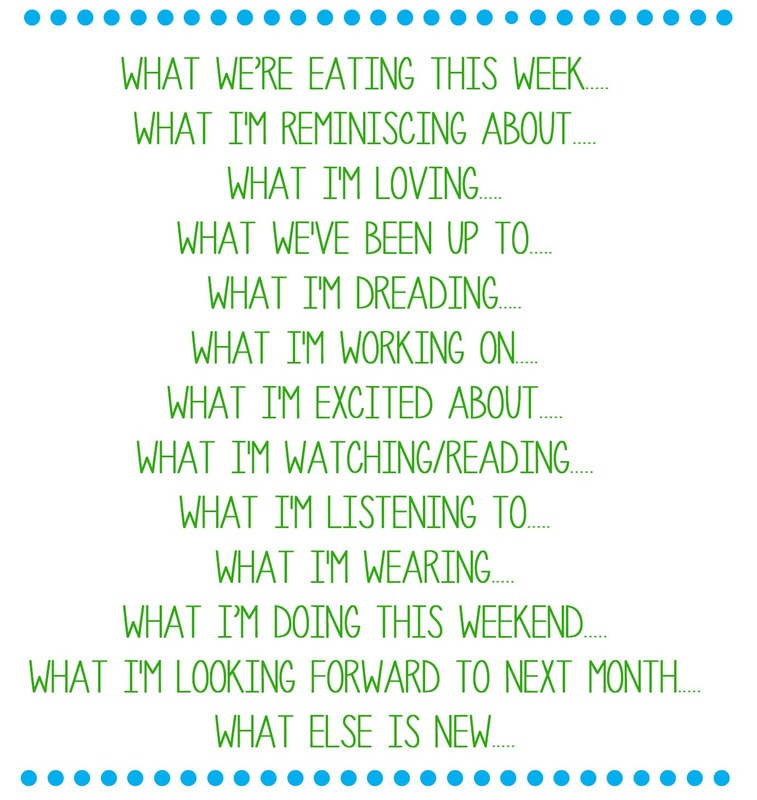 Let's do this week thing! 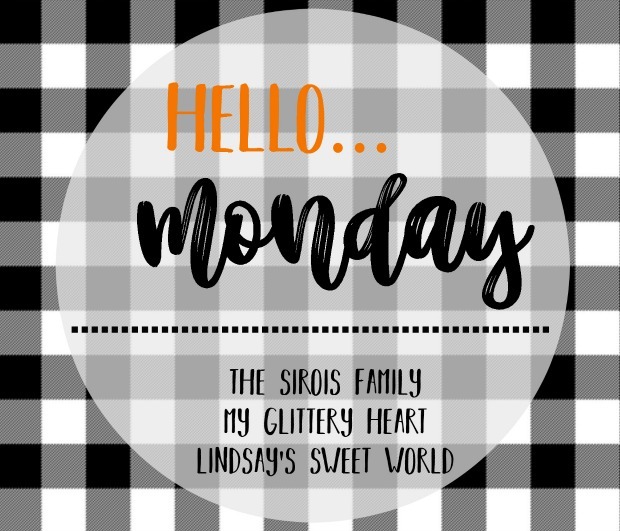 I'm linking up with Lindsay, Heather and Johannah for Hello Monday!